On Wednesday, former Secretary of State Henry Kissinger traveled to Moscow to meet with Russian President Vladimir Putin for a 'friendly dialogue'. Greeted by Putin as an 'old friend', Kissinger published an article the next day outlining his vision for the future of US-Russia relations. Commenting on the meeting, Russian television network RT recalled that over the years, Kissinger has held nearly a dozen face-to-face meetings with the Russian president. In 2013, Putin complemented the former secretary of state, emphasizing that Moscow always pays close attention to his views, and calling him "a world class politician." ​A day after his meeting with the Russian leader, Kissinger released a new article on the direction of Russia-US relations. In the article, published by Washington-based foreign policy magazine The National Interest, Kissinger emphasized that for stability to return to global affairs, "Russia should be perceived as an essential element of any new global equilibrium." ​"From 2007 into 2009," Kissinger recalled, "Evgeny Primakov and I chaired a group composed of retired senior ministers, high officials and military leaders from Russia and the United States…Its purpose was to ease the adversarial aspects of the US-Russian relationship and to consider opportunities for cooperative approaches. In America, it was described as a Track II group, which meant it was bipartisan and encouraged the White House to explore but not negotiate on its behalf. We alternated meetings in each other's country." "All the participants had held responsible positions during the Cold War. During periods of tension, they had asserted the national interest of their country as they understood it. But they had also learned through experience the perils of a technology threatening civilized life and evolving in a direction which, in crisis, might disrupt any organized human activity [the nuclear bomb]. Upheavals were looming around the globe, magnified by different cultural identities and clashing ideologies. The goal of the Track II effort was to overcome crises and explore common principles of world order." "Evgeny Primakov was an indispensable partner in this effort. His sharp analytical mind combined with a wide grasp of global trends acquired in years close to and ultimately at the center of power, and his great devotion to his country refined our thinking and helped in the quest for a common vision. We did not always agree, but we always respected each other. He is missed by all of us and by me personally as a colleague and a friend." Unfortunately, the former secretary of state continued, "I do not need to tell you that our relations today are much worse than they were a decade ago. Indeed, they are probably the worst they have been since before the end of the Cold War. Mutual trust has dissipated on both sides. Confrontation has replaced cooperation. I know that in his last months, Evgeny Primakov looked for ways to overcome this disturbing state of affairs. We would honor his memory for making that effort our own." Kissinger recalled that despite hopes at the end of the Cold War for the emergence a new world of partnership and cooperation, and the recognition by "many on both sides…that the fates of Russia and the United States remained tightly intertwined," the "momentum of global upheaval has outstripped the capacities of statesmanship." A series of geopolitical disputes, from the 1999 NATO war in Yugoslavia, to US policy in the Middle East in the 2000s, to the conflicts over Ukraine and Syria today, dissipated hopes for cooperation. Even "the more recent efforts to find common ground in the Syria conflict and to defuse the tension over Ukraine have done little to change the mounting sense of estrangement," Kissinger noted. "The prevailing narrative in each country places full blame on the other side, and in each country there is a tendency to demonize, if not the other country, then its leaders. As national security issues dominate the dialogue, some of the mistrust and suspicions from the bitter Cold War struggle have reemerged." "These feelings," the statesman added, "have been exacerbated in Russia by the memory of the first post-Soviet decade when Russia suffered a staggering socio-economic and political crisis, while the United States enjoyed its longest period of uninterrupted economic expansion. All this caused policy differences over the Balkans, the former Soviet territory, the Middle East, NATO expansion, missile defense and arms sales to overwhelm prospects for cooperation." Possibly the most important among these differences, Kissinger earnestly noted, is "a fundamental gap in historical conception." "For the United States, the end of the Cold War seemed like a vindication of its traditional faith in inevitable democratic revolution. It visualized the expansion of an international system governed by essentially legal rules. But Russia’s historical experience is more complicated. To a country across which foreign armies have marched for centuries from both East and West, security will always need to have a geopolitical, as well as a legal, foundation. When its security border moves from the Elbe 1,000 miles east towards Moscow, Russia’s perception of world order will contain an inevitable strategic component. The challenge of our period is to merge the two perspectives—the legal and the geopolitical—in a coherent concept." "In this way, paradoxically, we find ourselves confronting anew an essentially philosophical problem. How does the United States work together with Russia, a country which does not share all its values but is an indispensable component of the international order? How does Russia exercise its security interests without raising alarms around its periphery and accumulating adversaries? Can Russia gain a respected place in global affairs with which the United States is comfortable? Can the United States pursue its values without being perceived as threatening to impose them? I will not attempt to propose answers to all these questions. My purpose is to encourage an effort to explore them." At present, Kissinger recalled, "many commentators, both Russian and American, have rejected the possibility of the US and Russia working cooperatively on a new international order. 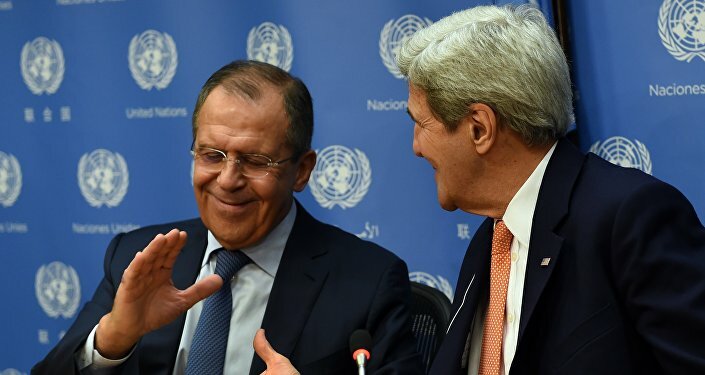 In their view, the United States and Russia have entered a new Cold War." Pentagon's European Spending Spree: The Real Deal or Just Blowing Smoke? The danger to this mode of thinking, he noted, "is less a return to military confrontation than the consolidation of a self-fulfilling prophecy in both countries. The long-term interests of both countries call for a world that transforms the contemporary turbulence and flux into a new equilibrium which is increasingly multipolar and globalized." "The nature of the turmoil is in itself unprecedented. Until quite recently, global international threats were identified with the accumulation of power by a dominating state. Today threats more frequently arise from the disintegration of state power and the growing number of ungoverned territories." "This spreading power vacuum," Kissinger explains, "cannot be dealt with by any state, no matter how powerful, on an exclusively national basis. It requires sustained cooperation between the United States and Russia, and other major powers. Therefore the elements of competition, in dealing with the traditional conflicts in the interstate system, must be constrained so that the competition remains within bounds and creates conditions which prevent a recurrence." "There are, as we know, a number of divisive issues before us, Ukraine or Syria as the most immediate. For the past few years, our countries have engaged in episodic discussions of such matters without much notable progress. This is not surprising, because the discussions have taken place outside an agreed strategic framework. Each of the specific issues is an expression of a larger strategic one." "Ukraine needs to be embedded in the structure of European and international security architecture in such a way that it serves as a bridge between Russia and the West, rather than as an outpost of either side." "Regarding Syria," the statesman suggested, "it is clear that the local and regional factions cannot find a solution on their own. Compatible US-Russian efforts coordinated with other major powers could create a pattern for peaceful solutions in the Middle East and perhaps elsewhere." Ultimately, Kissinger emphasizes, "any effort to improve relations must include a dialogue about the emerging world order. What are the trends that are eroding the old order and shaping the new one? What challenges do the changes pose to both Russian and American national interests? What role does each country want to play in shaping that order, and what position can it reasonably and ultimately hope to occupy in that world order? How do we reconcile the very different concepts of world order that have evolved in Russia and the United States – and in the other major powers – on the basis of historical experience?" "The goal," he concludes, "should be to develop a strategic concept for US-Russian relations within which the points of contention may be managed." 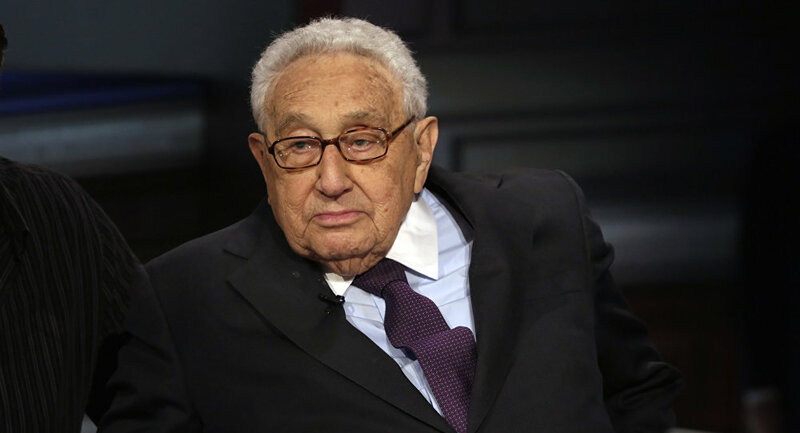 Kissinger, it seems, has Moscow's ear, if his latest discussion with the Russian president is any indication. Does he have Washington's? Henry Kissinger served as Secretary of State under Presidents Richard Nixon and Gerald Ford between 1973 and 1977. In 1973, he won the Nobel Peace Prize for the ceasefire and withdrawal of US troops from Vietnam. Kissinger also pioneered Washington's policy of détente toward the Soviet Union, and improved US relations with China. In US foreign policy thought, he has long been a proponent of the realist school, suggesting that while the US and Russia are destined to compete strategically, Washington cannot deny Russia its right to exist as a world power and as a state.